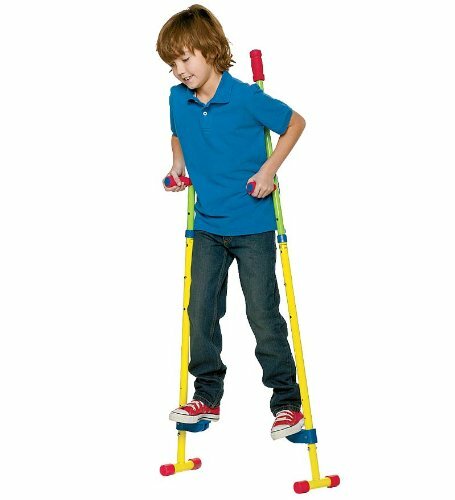 Stilt walking is a learned skill that improves balance, strength and coordination. Ready, Set, Stilts make it easier for even younger ones to join the fun. These unique stilts come with removable training feet to help children master the balance part before taking their first solo steps on stilts. When ready, replace the trainer feet with no skid caps. Fully adjustable with soft grip handles. Easy assembly. No tools required. For ages 5 and up. Size: up to 110 lbs.